Generally, people use projectors to watch videos, movies, presentations and so on. Now let us assume that you want to connect your Android smartphone to the projector, but you are literally confused how to do it. Every projector offers its own features, so the number of options to connect a projector to Android device is dependent on the projector itself. Irrespective of how many options there are, here is a perfect guide which will help you to connect your Android device to Projector easily. Connecting your Android smartphone to Projector will be much portable and easy to operate than carrying a laptop around. Different types of projector have different types of feature. So the method of connecting may vary as I said earlier. Let us take a look at most common and easy ways available to connect an Android device to a Projector. 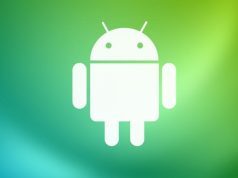 Now in this method, you can connect your Android device to your Projector wirelessly with the help of an app. In order to use this method, first, you must check that whether your Projector has an app, which allows your device to connect using a Wi-Fi or Bluetooth connection. Known companies like Panasonic projectors may have Android phone projector app, or you can just go to the official website of the company, which has manufactured your projector, and check if there is any app available for your Projector. Probably this is the easiest method to connect your Android device to your Projector. In this method, you need to connect your smartphone to your Projector. Your Android device will need to support hard-wired video connection. Most of the smartphones don’t support it. But who knows, you may be the lucky one. There are two types of connections to connect your smartphone to your Projector. They are MHL and HDMI. Looking at the options for android phone projector attachment you can also use the MHL. If your smartphone have MHL support, then you just have to connect MHL to HDMI adapter to your device and connect it your Projector’s HDMI port. You can get the adapters for cheap from Amazon or eBay. HDMI has always been the way to go when it comes to connecting devices to Projectors. But, the Android smartphones don’t come with full-fledged HDMI port. Hence you can just use a Mini-HDMI or mobile to projector cable to directly connect to your Projector’s HDMI port. Using a Chromecast to cast your smartphone screen to your projector is the best method. It can also be called as a mobile to projector connector. Most of the smartphones support Chromecast, and it also directly connects to your Projector’s HDMI port. You can watch movies, videos, or you can just cast your smartphone screen on your projector using a Chromecast. You can also connect your Android smartphone to Projector using Miracast. Most of the recent Android devices and projectors support Miracast. If your Projector lacks Miracast support, then you can just use a Miracast video adapter and directly connect it to your Projector’s HDMI port. Miracast allows you to cast anything from your phone to your Projector. So these are the best methods which you can use to connect your Android device to Projector. Do let us know if you know any better alternatives.